Mobile Freeware & Mobile Software Download for iPhone, Nokia, Motorola etc. The Sims 3 for Mobile - Create over a million unique Sims and control their lives. Kinoma FreePlay - Built-in access to services like YouTube, Audible, Flickr. NetQin Mobile Antivirus (Windows Mobile) - Safeguards the handset security. Adobe Reader LE - Extends Adobe PDF to mobile phones & electronics devices. Yahoo! Go - Get Yahoo! Go for your mobile and put the power of the Internet in your pocket. Adobe Reader for Pocket PC - Extends the value & capabilities of Adobe PDF files. Yahoo! Messenger for iPhone - Take the best of Messenger anywhere for iPhone. Mobile Athan software with Prayer Times and Qibla - Get Islamic prayer timings for local city. Microsoft Windows Mobile Device Center 6 - A business-data synchronization platform. iPod 2 iPhone - A file archiver with a high compression ratio for Mac OS X. Nokia PC Suite - Free software for Nokia phones to edit, synchronize, backup phone files. Motorola Phone Tools - Create unlimited communication possibilities. Oxygen Phone Manager for Symbian Phones - PC & smartphone communicate with each other. SmartComGPS for UIQ - GPS mapping, tracking, navigation for Symbian smartphones. MobiMonster Secure Space (Mobile Wallet) - Store all your private information in one place. MobiMonster Weather Forecast - Provides with an accurate five day worldwide weather forecast. Green Phone - For Symbian Series 60 devices to save phone's battery & charger life. Pocket Dictionary - A freeware contains 20 dictionaries with 2.5Mil words for Mobile. F-Secure Mobile Security - Makes your smartphone safe for today's connected life. YouTube Mobile Downloader - Download movie files from YouTube on Windows Mobile Device. Kaspersky Mobile Security for Windows Mobile - Against malware, unsolicited calls and messages. Mobile Phone Tools - Mobile phone tools and softawre to synchronize PC and cell phone. Free mobile MSN messenger--HIER for 5500 - Incorporates MSN & other instant messengers. Free mobile MSN messenger--HIER for QD - Incorporates MSN & other instant messengers. iPodSync - View your Outlook Contacts, Calendars, Tasks and Notes on your iPod. Youtube to iPod Transfer - Transfer any youtube or google video straight to iPods. iSofter DVD to Pocket PC Converter - Put DVD movies on your Pocket PC with great quality. YouTube Robot - Convert YouTube to iPhone, Pocket PC, PSP, Zune, mobile phone, iPod... Antair BlackBerry Spam Filter - Filters spam directly from BlackBerry email inbox. BlackBerry US Army Body Fat Percentage Calculator - Calculate body fat percentage. DVD/VIdeo to Pocket PC, Smart Phone, Palm and more mobile devices converter. It can convert video formats such as VOB, DivX, XviD, MOV, RM, RMVB, MPEG, WMV, AVI to mobile device formats (WMV/WMA/Mp3)..
A powerful Sansa video converter which can convert AVI MPEG to Sansa, DVD to Sansa Video, and convert ohter popular video files to to Quicktime movie supported by Sansa. MP3 To Ringtone Gold is a ringtone converter. It can be used to convert the popular compressed audio formats (.mp3,.wma,.wav,.ogg) to ringtone format(.mmf,.amr,.mp3,.wav, .qcp) and send them to your cell phone. It can Convert / Record / Mix audio to Moblie Ringtone format as MP3, OGG, AMR, MMF, AMRWB, WAV. It can import WAV, MP3, OGG, AMR, AMR WB+, MPEG, AIFF, AU, WAV file and add recording track to audio. 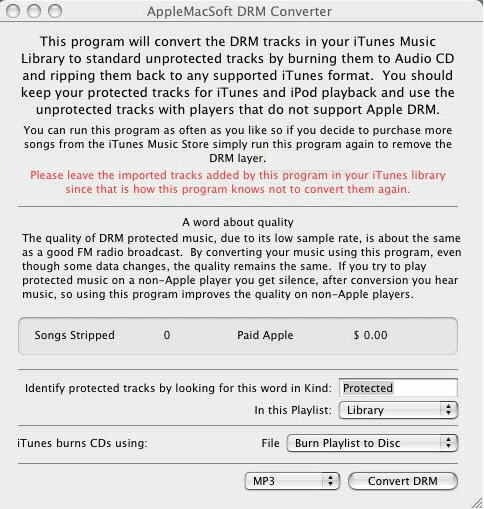 It can transfer iPod Songs to PC easily. It's internal database to display your iPod's contents instantly, is fully compatible with all existing iPods including iPod(1st, 2nd, 3rd, 4th, and 5th generation iPods), iPod Photo, iPod mini, iPod shuffle, iPod nano and iPod video.